Back in the day, the American anime experience was limited to a couple shows on TV and a small selection at your local comic book shop. Now, anime is a multi-million dollar industry, and traditional entertainment outlets turn to anime to tell their stories with increasing frequency. Join representatives from leading anime, gaming, and digital media companies as they gather to discuss anime’s impact on pop-culture, and find out how anime impacts your life in ways you might not even suspect. From your mobile device to the movie theater, in your video games and on your DVR, anime is everywhere. 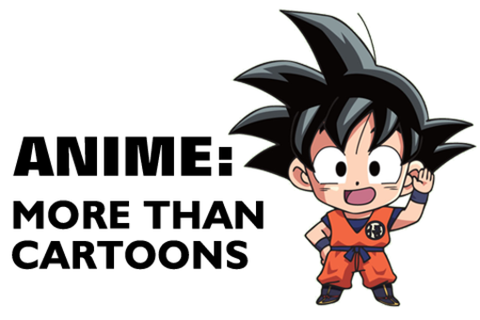 It’s more than cartoons – It’s a thriving, influential culture. Craig Crossley has used his experience in and around the communications, technology, marketing, and entertainment industries to cultivate a niche expertise in New Media Business Development. Over the years he has played a role in consulting, developing and operating digital media commerce and marketing solutions for high-level entertainers, multi-media, technology, and retail companies. His work includes clients and partners such as Funimation Entertainment, Sears Holdings Corporation, Kmart, Cisco, Konami Digital Entertainment, Will Smith Enterprises, Aftermath Entertainment, Universal Music Group, TVT Records, Sanctuary Records, Olympusat Television Networks, Mixcast TV, and others… As the Vice-President of Navio Systems Entertainment Division, he developed and implemented the initial direct to consumer rights based digital strategy implemented across various labels within the Sony Music label system. Through he joint venture with Smith Global he founded a retail digital marketing company, which designed, implemented, and operated an integrated in-store entertainment network (including music and video content production and distribution) for Sears Holdings Corporation. He started his entertainment career by the side of Will Smith as part of his management team and later evolved into various capacities with the Will Smith/Overbrook Entertainment family of companies. Before partnering with his college friend, Harry Smith and Smith Global Management to spin off his own company, he served in a versatile business development position that integrated new media opportunities and corporate sponsorship with talent management. Here he started and operated a portfolio of companies in marketing, entertainment, technology, and hospitality for the Smith Family. Craig received his degree in Finance from Hampton University in Hampton, VA.
Justin Rojas began his career with FUNimation Entertainment, North America's leading distributor of anime, in 2008 as an Assistant Brand Manager and in just three short years worked his way up to Senior Social Media Manager. In his current role, Justin works with internal and external teams to strategize promotions for hundreds of brands in the online social media space, in addition to hosting events and conventions. His role allows him to interact with thousands of fans every day as he strives to build strong relationships with both consumers and other geek-centric companies like Capcom, BioWare, Sega, MTV Geek, Microsoft, and Sony. While matriculating at the University of Texas at Dallas – where he earned a degree in Business Administration – Justin was brutally pistol whipped by a villainous miscreant. When he's not busy making the anime world a better place through social media, Justin practices the martial art of Kenju-ryu in hopes of one day finding the unknown assailant and reclaiming his honor. Margo Yabs graduated from the University of North Texas with a BA in Radio, TV and Film and has over 6 years professional experience working in live broadcast TV, new media and digital video. As a Partner Operations Manager at Sony Network Entertainment, she works closely with major and independent studios, TV networks, and top anime studios to globally distribute their digital video content on the PlayStation Network and Video Unlimited storefronts - reaching a widespread audience through multiple devices. In her previous role, Margo worked at FUNimation in digital video post-production which included leading the production team in streaming web simulcasts as well as distributing top anime content on PlayStation, iTunes, Xbox, Hulu, YouTube and Amazon. She has a deep passion for all forms of digital entertainment and is excited to see what the future holds in the world of digital. Reviewer from 2000-2003 and developer since, Mike has been involved with the video game industry for over a decade. Since joining Bioware, he has led the writing team on Jade Empire, contributed to Mass Effect and now has the honor of working with the Dragon Age team as the brand’s creative director. In addition to the core games (with sales in excess of 7 million copies combined), he works with partners like FUNimation and Dark Horse to see Dragon Age grow into additional media types, from webseries to comics to feature-length animations like Dragon Age: Dawn of the Seeker. Ryo Yamaguchi began his career with Niconico, Inc. in 2011 as an Assistant Director. Ryo has MC’d over 10 anime conventions including Sakura Con, Anime Expo, San Diego Comic Con, New York Comic Con and many more. Recently, He MC’d at a Japanese culture event called Hyper Japan in London, UK. As an Anime Specialist, he will be running around many anime conventions interviewing cosplayers and various key figures who attended these conventions.